Last week I spent four days at Dialogkonferansen, an international marketing conference in beautiful Strömstad, Sweden. Probably one of the biggest marketing conferences in Scandinavia. We had typical Swedish summer weather with both sunshine and heavy rain. 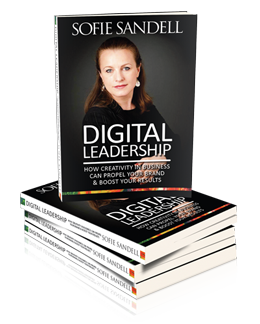 On Monday I delivered my talk ‘Digital Leadership’ and shared some facts, stats and ideas about leadership in the digital age. The world is full of opportunities and threats, and as a leader you need to listen to both critical and positive sources. I think that making decisions based on over-hyped, exaggerated facts is not good for anyone. In marketing and business analysis this is quite common – and mangers are making up their mind about what to do next by reading a random article in a magazine about a new shiny digital tool. What are your thoughts about that? Maybe it has happened where you work? At every big marketing event there is a lot to discover. Businesses shares their success stories, and the brave brands are also sharing what didn’t work out according to plan. Right now in marketing m ulti- and omni-channels are big and complex machines that take a lot of collaborative brain power to understand. 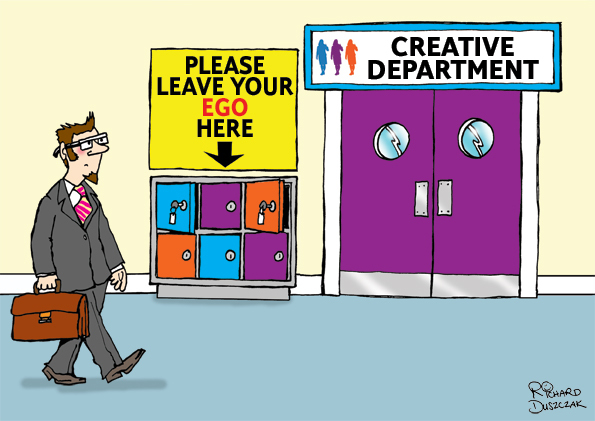 How many different touch points does your organisation have with your customers? 10, 25 or 50? To figure out how many you have is one of the many interesting tasks in digital marketing right now. Brands need to have a good organisational structure set up to manage all this new data and knowledge to turn it into wisdom and action. Every organisation who enters the omni-channel labyrinth needs to be quick learners to manage the new information well. There is a big risk that all these complex systems are causing digital stress. Brands that makes it easier to find information and data that relates to them; both internally and externally, show that they respect their employees and customers. Teams that are exploring digital collaboration and creativity are better learners and they are also quicker at picking up trends. A speaker I’ve only ever heard of before who also spoke at the conference was the legendary Ken Schmidt. He was the branding and strategy director who helped turn Harley Davidson around and take it from a failing business to where it is today. Another speaker I enjoyed listening to was Amit Shah, Vice President of Mobile and Social Media for 1800 Flowers in the US. He said: ‘Using mobile and social media is all about better experiences.’ In other words, being online is about trying to understand the moment and subsequent moments where you will find your customers. ‘To succeed you need to increase the creativity you have in the business culture.’ Of course, I loved that he emphasised that we need to explore creativity on all levels. I was up early on Wednesday morning to listen to Julia Hoffmann, Executive Director of Digital and Consumer Experience at MGM Resorts, USA. It’s a huge hotel and conference chain in the US. She shared her philosophy about user experience and said: ‘We want to give time back to our customers. Our life is full of memories and the more positive memories a brand can give to their customers the better.’ This is something to think about for the kind of brand that doesn’t seem to care at all about their customers. Under Hoffmann’s leadership, MGM Resorts is working on being a test data-led organisation instead of an opinion-based organisation. Many organisations are struggling with this today. I’ve been in jobs where we had big arguments about facts vs opinions. I don’t think these arguments will ever disappear, but it can be good to remember that we need to be humble and learn about the new digital world by being good listeners and alert students. Dan Germain, Head of Creative, Innocent Drinks. Next year they are running the event for the 20th time. I can recommend you tocheck it out. It’s a lovely event that includes boat trips, golf tournaments, seminars, comedy and parties. Have a lovely day whatever you are up to. 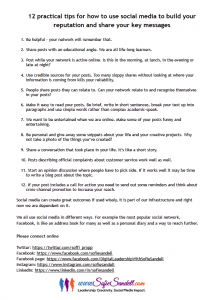 If you think your network would enjoy reading the post please share it with them on social media. 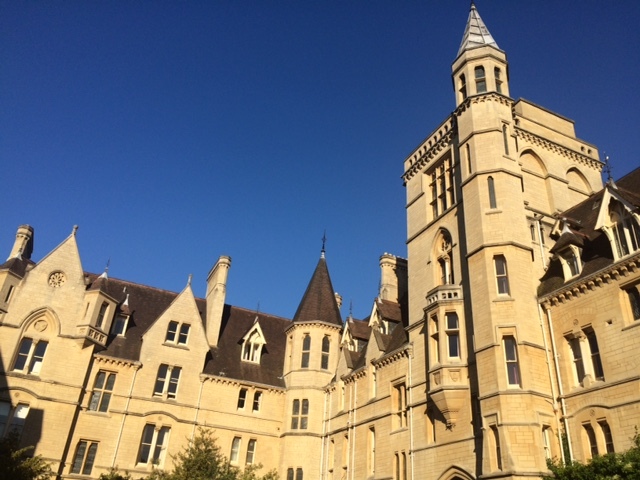 Last week I visited the Oxford Internet Institute and attended the Connected Life 2015 conference. 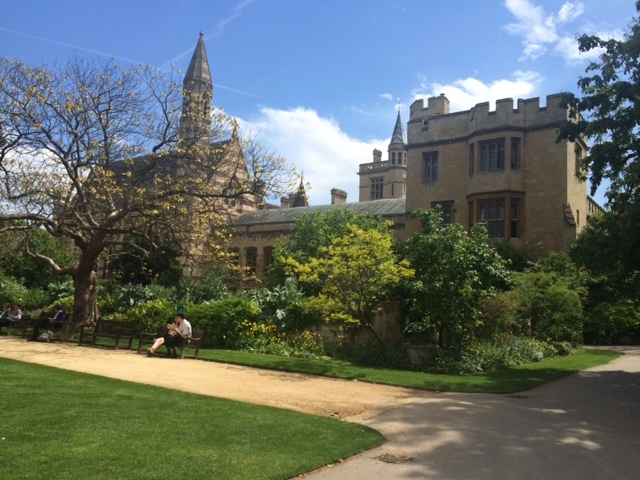 It was a great day and we experienced the sunny side of Oxford and Balliol College thanks to the lovely weather. I’ve not been to many academic social media and Web conferences before, the whole thing was new to me and I had that ‘first timer’ feeling of excitement. My first observation as a ‘social media geek’ is that my social media reality and the academic social media reality feel like two different worlds. 3) how to integrate social media into their marketing strategy. The academics shared research about the Web on a much deeper level and sometimes it all felt a bit dreamlike to me. The insights I got during the day were both inspiring and enlightening, and some of my observations even scared me. One example is how easy it is to draw conclusions too quickly when analysing big data, something that some presenters pointed out. Research about the Internet is done in a plethora of academic disciplines all over the world. During the day I met people studying life online in a multi-institutional way, cross pollinating all kinds of themes: sociology, psychology, economics, politics, medicine, linguistics, anthropology, computer science, law, international relations, geography, leadership, infrastructure, architecture, mathematics and journalism. There was a great mix of subjects and refreshing approaches to how to use the Web. The answer to this question is: a lot. Numerous academic studies use data from Google and Twitter in their research and it will be interesting to see if we can learn more about trends in the world by using these tools better. Let me share some of the insights I gained during the day. Daniele Quercia was the morning keynote speaker. He shared his research data about ‘happy maps’ and why people like some buildings and streets and not others. The project has turned into a game testing people’s knowledge about cities, play it here. You can watch Quercia TED talk here for more background information about happy maps. One session I went to presented research in eHealth and how to use the Web to improve health in different ways. One study was about tracking mental illness and suicide searches online in the United Kingdom with the help of Google Trends. I’m sure that people working with health policies in the UK will find this study helpful. People who are searching these topics in their darkest moments are probably not talking about their problems with their friends and family. Maybe this research can lead to better suicide prevention in the future? Another interesting talk was about environmental NGOs and activism and how people today are engaged online and offline. Social media without engagement is pretty meaningless if you’re an activist, isn’t it? There are hundreds of examples where social media has helped people to connect in real life, and Anna Hushlak told us more about the ingredients that the most impactful campaigns have to get people to meet up and work together for a cause. Technology is changing the way we see the world, it opens up new perspectives and people will be drawn to certain campaigns because of the clarity of the message. I think it’s clarity that many NGOs are struggling to find. 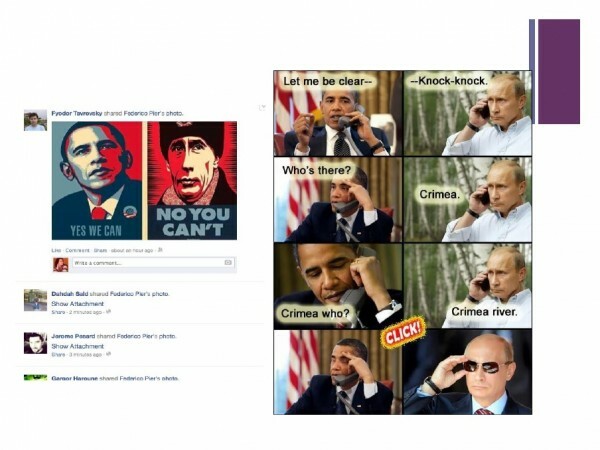 There was also a very interesting study shared about social media memes in Russia. Russian politicians don’t understand funny political cartoons. Imagine if that were the case in the UK where it’s everyday business to share jokes about politicians. Anastasia Denisova said that memes serve a very important function in Russia and often hold deeper messages. You can’t trace who created a meme, so it feels safe to share them and people do so in large numbers. The final talk of the day was about the online wine community CellarTracker and how quality and hype are affecting buyers’ decisions. If a wine gets hyped up in our community we are more likely to buy it, something that makes sense from my experience. Consumer dynamics and reviews are important for anyone selling products and services. Many factors play a part: quality perception, reputation and prices are some of them. In a world where people don’t trust big institutions such as government any longer reviews by peers will have more power to influence decision-making. One interesting fact that researcher Alex Albright shared was there are no online trolls commenting on threads in wine communities. Here you can read a blog post about the study. At the end of the day the founder of the Oxford Internet Institute Andrew Graham told the story about how he set up the OII in 1995, a brave decision. Back in 1995 nobody could guess how big the effect of the Internet would be in the future. I would like to say thank you to Andrew and all the people who were involved for being brave and planting a seed for what is now a flourishing place for research about our digital world. I wrote a blog post about the Web in 1995 a few weeks ago, check it out to see how things have changed. The Internet is like water and electricity in our society. We wouldn’t want to live without it for too long. The Connected Life 2015 conference was a brilliant experience, I got a deeper understanding of the impact that digital technology and social media have on our society. The history of the Web and all its applications should never be forgotten and we need to understand the past to be able to predict the future. 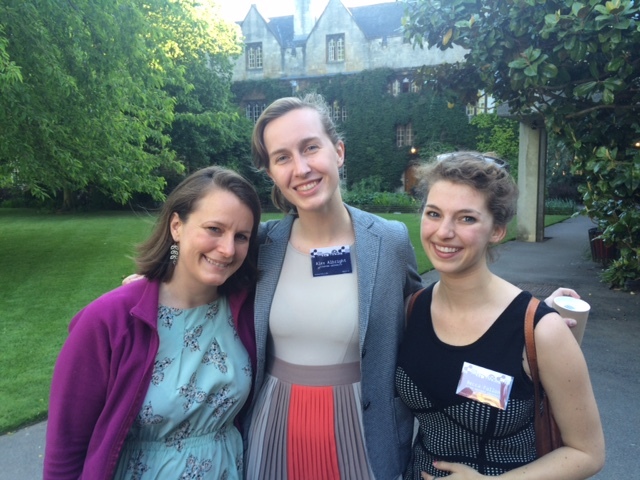 Sofie Sandell, Alex Albright and a delegate at the conference. I love the Internet because of its many positive inventions and its facilitation of knowledge sharing. But there are many areas that worry me: privacy and trolling to name two. You can read my post ‘The Web I Want’ for more ideas on how to make the Internet a better place. As information- and online consumers we are in the hands of the developers and their ethical decisions. Without understanding the impact of privacy and security issues we might end up being totally exposed. Researcher Bendert Zevenbergen said that most engineers, developers, and programmers really do want to do good with their work, but there are some who don’t care about ethical issues and some who want to abuse their power. The ‘tick, click and hope for the best’ strategy is not ideal in a complex world where we share our private information with new networks all the time. There are many issues surrounding the Internet to explore and learn about, and these will keep the world busy for many years to come. I hope you enjoyed my summary of the event. It’s the end of the week and I feel that my energy is coming back to me after an intense week. On Tuesday I visited the Oxford Internet Institute. I met up with some people and I also had the chance to listen to Michael Corey [twitter.com/mcorey] who’s a social scientist at Facebook. He shared insights about how to measure internet penetration around the world. Facebook’s vision is to ‘connect the world’. To see how well they are connecting people they research: 1) Who knows about the internet 2) Whether they use it 3) How often 4) For what purpose etc. It was a great and more technical lecture. Unfortunately, I can’t share details at the moment as the study is not public yet. Mark Zuckerberg (Facebook’s founder) says: ‘To be online is a human right.’ I agree with him, why should only the privileged have access to the Web? What are your thoughts? This week I also spoke about ‘How to be seen as a leader online’ at the Digital Marketing Forum with Richmond Events. It was a great and intense day, I spoke three times. I was a bit nervous at first as I was speaking to my peers. Many of the people who attended were working in similar positions to me a few years ago when I worked as an ecommerce manager and digital manager. When I talk about being seen as a leader online I share a philosophy that I subscribe to and that is: ‘I participate, therefore I learn’. When we spend time online we connect and collaborate; a lot of our personal and professional development is done this way now compared with just a few years ago. This is one reason why it’s good for you to be active online. And, to see trends you must be online and follow people who have similar interests to you. If you would like to be seen as a leader (not only a leader with a title such as CEO) it’s important to be generous with your ideas and thoughts. I wrote a blog post about thoughtleadership the other week, you can read it here. This comment turned into a discussion comparing a digital manager with a Michelin starred chef. The argument was that chefs do not cook restaurant quality food at home only at work, and therefore you could say you as a digital marketer should not actively working on your own personal brand either. I understand the argument and my thoughts are: You are the only person who can take responsibility for developing your own leadership skills and personal brand. If you don’t do it no one else will do it for you. And I know a few chefs and they cook lovely food for themselves and their friends, and they are also very active on Instagram and Twitter showing their food, creations and what they are up to. Leadership 2.0 means that you curate your online brand and that you share your thoughts and ideas generously with other people using digital tools in a smart way. PS. If you know anyone who is looking for a speaker or a writer please have me in mind. My article about how you can create a better and more diverse line up of speakers was published in The Guardian the other week. As a plethora of high-profile speakers board their private jets and wave goodbye to Davos, only about 20% of them will be female. This has been the norm at theWorld Economic Forum for the last few years and shows little sign of changing. As a regular on the speaker circuit, I’ve heard all kinds of excuses as to why there are so few women on stage at these events. The most popular include: there are no female experts in the field, we tried to get a woman to speak but we asked too late – she was already busy, and in the end we didn’t have time to approach people we don’t know already. 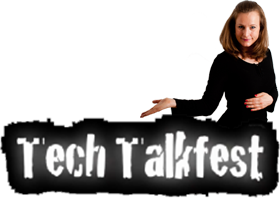 1) Look back at your past events to see how diverse the speakers were. How many of the experts don’t fit the stereotype of the middle-class white male speaker? This gives you a number to start with and from there a goal to aim for. If your last event line-up included only one woman, then try to aim for two this time – that’s a 100% increase. Even if it is still pretty sad. You will probably be better off trying to address the percentage of women speakers. Most events get stuck at around the 22% mark, beat that and you’re already doing better than the majority. Read all six tips on The Guardian’s website. 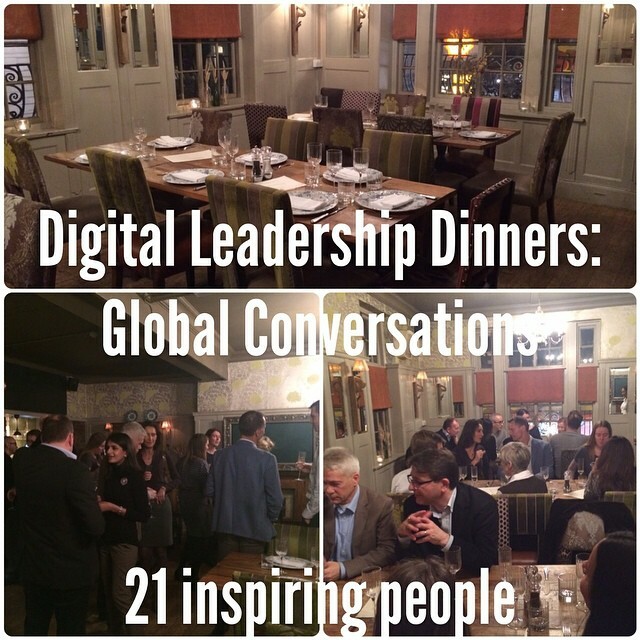 We kicked off our first Digital Leadership Dinner: Global Conversations 19th November. The event was sold out two weeks beforehand and here is a short background and summary of the event. The idea for the dinner started when I wanted to create a space where people could discuss big global questions over dinner. We all know so much already, so why not create our own content from our discussions and then stream some of our thoughts live. I started to talk about the dinner idea with Ghilaine Chan, co-founder of TechTalkfest a few months ago and now the event is here. It’s amazing what a chat and lunch can lead to. I sat at a table of seven people with different backgrounds, we had good discussions and several shared inspiring stories from their lives. In total we had three tables of seven. 1) How do we motivate ourselves to build relationships with people who are different from us? 2) What are the ingredients of a sustainable partnership? A sustainable partnership must be built on trust and respect. We discussed this from different angles and perspectives and however we saw it trust must be there. At future dinners we are planning to focus on global questions that matters for all of us. Maybe next dinner will focus on building trust? Another topic that came up was how social media is affecting our identity. Thank you everyone who attended, I’m very pleased with the evening. I recently attended a conference in Birmingham that combined the topics of religion and the challenges of living in a digital age. It was the 34th World Congress with The International Association for Religious Freedom (IARF) and the theme was ‘Challenges for Religious Freedom in the Digital Age’. We live in a world that is interconnected in more ways than ever before – both economically and digitally. One of the main messages at the conference was: In order to live together we must foster communication and understanding. The keynote speaker was Karen Armstrong, a celebrated author and religious commentator. It was great to hear her speak live. 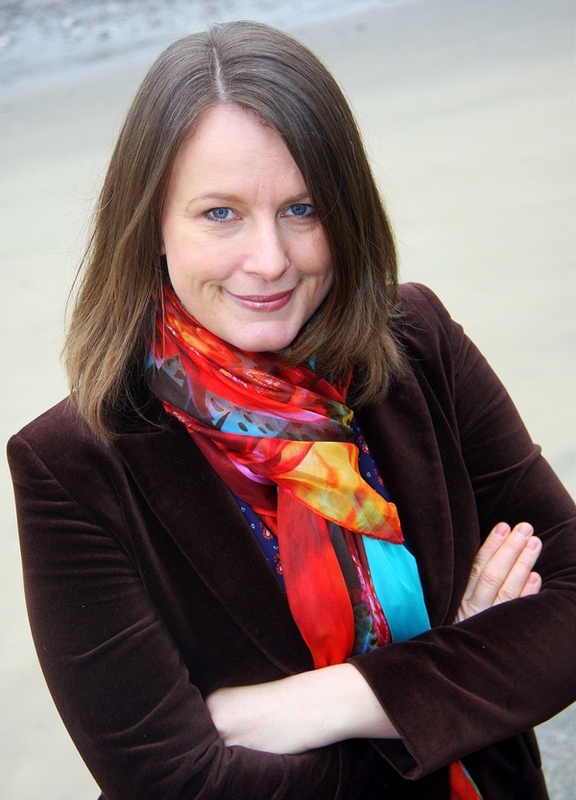 Previously, I’d seen her online when she won the 2008 TED Prize for the creation of the Charter for Compassion. Two of the thoughts she shared on stage were: ‘Compassion is in all religion’ and ‘don’t impose on others what you don’t want imposed on yourself’. With our ability to share content and thoughts online comes personal responsibility. What you do online can have a huge impact on other people’s thoughts and feelings both in a positive way and in a negative way. To create and develop a world that we would all like to live in we need to use our intellect, morality and personal discipline to take action. Talking alone will not make compassion work. Diversity makes us stronger and helps us to see a problem from new perspectives. We must always learn from each other. Other people can help us to grow. When I train people in social media one of my messages is: ‘Adults learn best by discussing a topic they are passionate about with other people who are experts in the topic.’ So, in the complex world of social media and communication, by talking to other wise people we can quickly develop our own minds. There is a lot of knowledge in this world and we cannot keep it all in our minds. In the past we had books and libraries. Now we have the ability to share our knowledge with a larger audience and we do this in a way that enables people to easily find information, that is, through the use of good web-design, categories and keywords. Our language is a gift and thanks to language we can communicate our knowledge and share it further. In some parts of the world internet penetration is almost zero, in the Western world it’s close to 90% and for the future we should hope for a more equal way to connect. Digital technology is about numbers. It’s about ‘1’ and ‘0’ – one and zero are the two magic numbers that are needed to digitise everything online. Without numbers we would not be able to send an email or check out a website. We need numbers to form a new concept online. We explain our world using numbers, we call each other using a phone number, and in the digital world we use numbers all the time without even thinking about it. One of the Muslim speakers, Aladdine Touhami, compared one and zero to masculinity and femininity. You need a balance of both to get anything to work. Technology does not have a natural moral centre and we must embrace responsible online behaviour. Your words can reach far and you must choose them wisely. Bishop Angaelos, a very active Twitter user was one of the speakers. He said that social media should not be seen as either a villain or saviour. For me, it feels as if we have lost our privacy online. Of course, we can choose what to share, but a lot of data is collected about us by big corporations and that’s a bit creepy. What do Facebook and Google actually know about us? Probably far too much! Internet censorship and surveillance is a reality in over 40 countries at the moment. What kind of impact does this have? Where do you draw the line concerning what people can control? During the conference I also visited two Sikh gurdwaras. I had never been to a gurdwara before and I found it very exciting. We were told the meaning if the word ‘guru’. In my job working with social media I often hear the expression ‘social media guru’ and it sometimes has negative connotations. I have been called a social media guru in some interviews and I am absolutely fine with that. One of the people who welcomed us to the gurdwara said that guru means spiritual enlightenment and a guru takes you from darkness to light. I think that sounds beautiful. I also had the opportunity to listen to two young Frenchmen who, with five other men from five different religions, had travelled the world exploring religion and promoting interfaith activities. You should check out some of their videos and posts on social media and their website. Our ability to use digital tools will help us to develop a more human world. The question is what can you do to help? As humans we can connect on many levels, we can meet up, play sport, go for a coffee, chat online, share a moment on Snapchat, share our holiday pics on Facebook, we can send a text message, we can fly all around the world, jump on a train and so on. We will always connect and be connected – today there are just so many more opportunities to do so. The final words I would like to share with you are: All human beings have one thing in common and that is that we can all become better communicators. I’ve arrived safely in Shanghai and I’m now going to explore the city and what it has to offer. It’s hot and humid here, almost so got that you just want to stay inside. I had dinner by the river yesterday and had a magnificent view of The Bund, the area I was in. No sight of my luggage so far, so I have to go out for some shopping today. On Wednesday and Thursday I am speaking at a Digital Marketing conference here in Shanghai. It will be great. I was flying to Shanghai to speak at a big marketing conference. My luggage didn‘t fly on the same plane as me. I had to go out shopping in Shanghai. There seemed to only be luxury boutiques in all malls, which is not my thing. I was crying in a shop and said I just needed a Zara or an HM to find something to wear. Jetlagged, sad and tired I found a ‘normal shopping centre’ and got myself a dress which still is one of my favourites. If you are not extra extra small you find if hard to find anything in China. I’m a European medium, 38-40, and there was a limited choice. Do you ever think about what reflects our society and the world we live in? I do that pretty often and one thing that I notice more and more is that women are not that well represented in panels and as speakers in conferences. Often I am the only woman. This is nothing new, but as a speaker now myself, I see it from a new perspective. Why is this a problem and why should we be annoyed? It’s an issue because it does not represent the real world, and it often shows that the event organisers haven’t done any research outside their primary networks. You can ask any networking expert and they will tell you that you should strive to connect with people beyond your existing network. It’s outside your little circle that you will find amazing contacts, speakers and experts. In Sweden and Norway there is currently a campaign going on called Tacka Nej. It’s about men saying no thank you to participate in ‘only male’ panels, conferences and experts forums. It was mentioned on Twitter by Melina Gates in one of her most shared tweets ever. Do we really want to go to seminars and conferences that have only men on their panels? Is that what organisers believe? Do they have to choose only speakers who have the competences that men more often have? I was at a very techie event in London about online security last week #DontSpyOnUs. The emcees and the speakers were a mix of women, men, old young, corporate and academics. Even in a very male dominated industry you can find the right kind of speaker, if you put in some effort. For me this is about human rights and equal value. So we have to lead together, men, women, young and old. Next time you are organising an event, don’t be lazy. Contact the pontential female speakers first. Just a tips. And if anyone is feeling annoyed, angry or concerned regarding diversity and inequality, please treat their thoughts and ideas respectful. Even in Scandinavia, well known for its large female political representation, public debate is dominated by men. Business conferences with a 100 percent male speaker lineup are not rare. Some of these men are tired of debating only men, and are taking action to change this.In Sweden and Norway, male speakers are now refusing to participate in conferences and panel discussions without female representation. The idea is that men, when they are invited to speak at a conference or participate in a debate panel, will ask whether women are represented on the programme. If not, they will turn the invitation down and say no, thanks. How can we save the world from question wankers? Have you ever been to a seminar where they open the floor up to questions and then someone asks a question that goes on forever, as though they just love the sound of their own voice and suffer from severe verbal diarrhoea? I’ve recently attended some prestigious technology events in London where experts and panellists from all over the world were invited to speak. The experts communicated their thoughts and ideas in different formats and then they were generous enough with their time to ask for questions. And that is when it all starts. Almost all seminars suffers from it: the question wankers, the people who take up far too much time and must tell their life stories before getting to the point and asking their question. ‘If you look back in history you can see certain trends…and then I make a connection with the point you mentioned earlier and discuss how it made me think about how this will work or potentially not work according to what you just said. And I also would like to add that I am an expert in this industry and I’ve written at least five books about the topic…’ and so on. I cringe whenever this happens. I’ve discussed this before on several occasions, and to simplify I can say that men are the primary culprits. This appears to be a male seminar disease. Not that many women suffer from it that I can see, and if they do it’s not that severe. Why these people can’t express themselves better may be connected with their huge egos, bad childhoods or general communication problems. Asking a question is something that consists of a maximum of a few sentences and is completed in less than 30 seconds. Some of these people have to make a speech before they finally come to ask their question, a question that is often hard to even understand. I go to seminars and workshops to learn from other experts and to meet new people. I don’t sacrifice my time and money to listen to people who suffer from verbal diarrhoea or have something to prove because they were not invited to be on the panel. In one seminar I attended there was a female emcee, and she was great. The discussion was moving in the wrong direction and some men were initiating a debate about UKIP (now just elected and to be the biggest UK party in the European Parliament) and she quickly made it clear that this was not the forum for this debate. And then she moved on. At another seminar the emcee just let the questionholes go on forever and the whole room lost its connection with what was being said by the panel. The emcee should break in as soon as a question wanker takes a breath and ask them to ask the question or give the mic to someone else. What’s your best Master of Ceremonies tip? How can we save the world from question wankers?